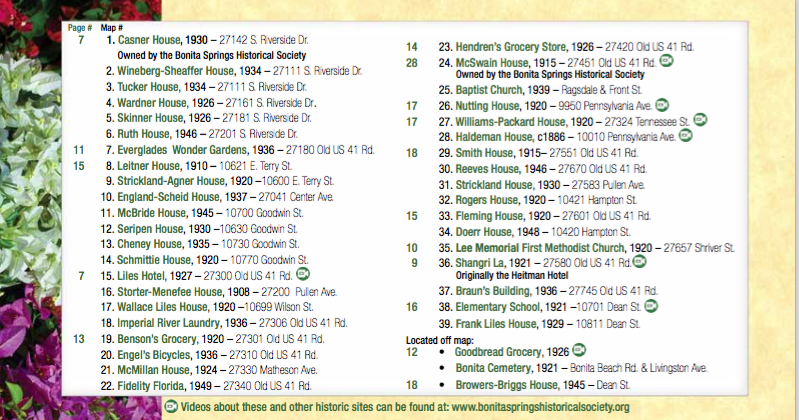 An excellent source for information regarding our city’s historic resources is the “Historic Bonita Springs” booklet. 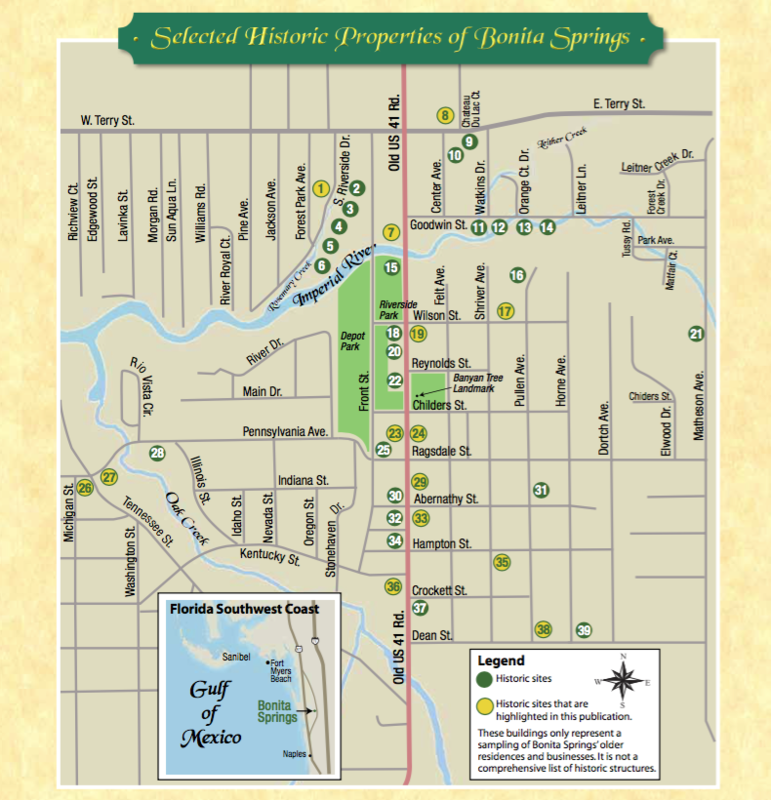 It was produced by the BSHS and the City of Bonita Springs, Historic Preservation Board. A free hard copy of the booklet is available in the lobby of the Liles Hotel History Center in Riverside Park and at City Hall. Click here to view or download the map legend. Click here to view or download the entire contents of the 29 page booklet.